Waterfall Info: This is the lower of two waterfalls on Patterson Creek. It consists of a series of many scenic cascades of varying size. The coordinates are for the base of the most scenic drop - the second cascade, pictured above. 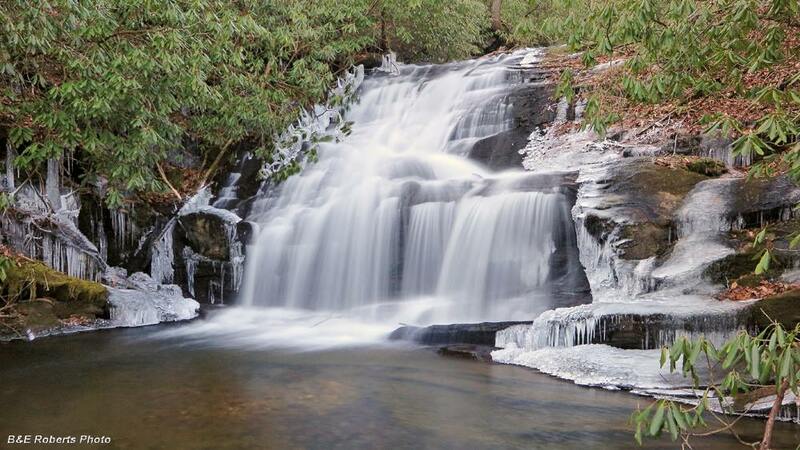 Access Info: A steep scramble path from Patterson Gap Road leads to the various sections of Laurel Mountain Falls.